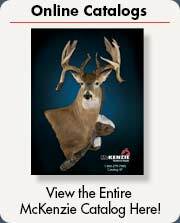 The TFC50 or Trophy Field Care Guide by McKenzie can be a useful tool for your customers. By providing this information to your customers you could potentially save yourself a lot of work with hide repairs. 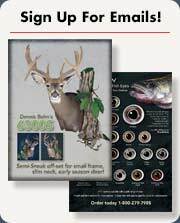 Help to educate hunters that a good quality specimen starts the moment that trophy hits the ground. memorable piece of art that will last a lifetime. 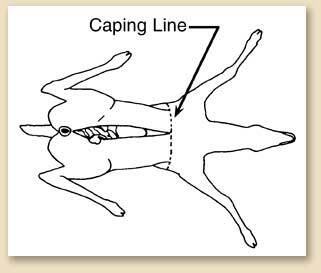 The dorsal method of skinning involves a long slit down the back (from the tail base up into the neck). The carcass is skinned as it is pulled through this incision. 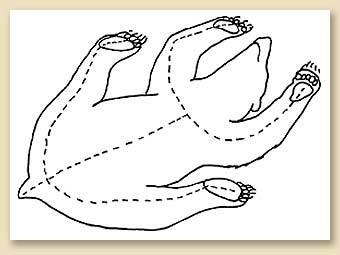 The feet/hooves and the head are cut from the carcass as with a shoulder mount explained later. 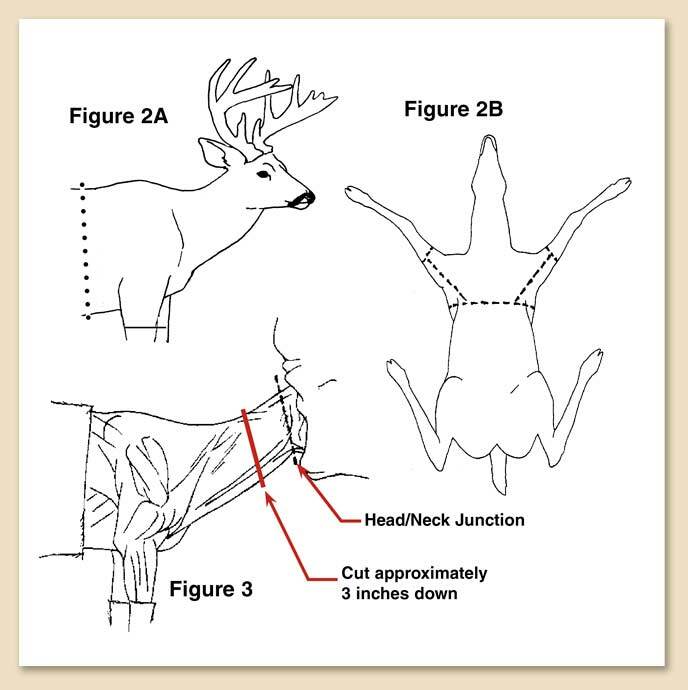 Only use this method with approval and detailed instructions from your taxidermist. Use this method only when the skin can be frozen quickly after skinning. Peel the skin forward up to the ears and jaw exposing the head/neck junction. Cut into the neck approximately three inches down from this junction (Figure 3). Circle the neck, cutting down to the spinal column. After this cut is complete, grasp the antler bases, and twist the head off the neck. This should allow the hide to be rolled up and put in a freezer until transported to the taxidermist. Avoid dragging the deer out of the woods with a rope. Place it on a sled, a rickshaw, or a four-wheeler. The rope, rocks, or a broken branch from a deadfall can easily damage the fur or puncture the hide. 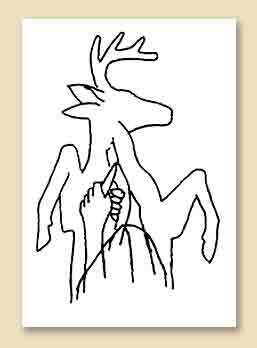 If you do need to drag it out with a rope, attach the rope to the base of the antlers and drag your trophy carefully. avoid common mistakes in the field.